When it comes to the anti-American resistance war for national salvation, the 1968 General Offensive and Uprising (also known as the 1968 Tet Offensive) was the most glorious Vietnamese feat of arms in the 20th century. At the forefront of multiple decisive factors in the triumph was the military art of people’s war, which needs extensively researching to serve today’s Homeland defense. 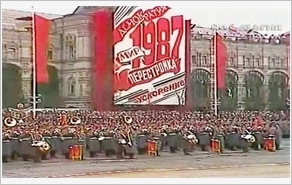 Properly assessing the situation and thoroughly grasping principles of revolutionary warfare, our Party decided to launch the 1968 General Offensive and Uprising, dealing a crippling blow to the American troops and puppets. It reflected will, resilience and indomitableness of the Vietnamese as well as our Party’s creativity and stratagem. This was evidenced by the art of creating and seizing opportunities to deal strategic blows, the novel military operational measures to directly assault the enemy’s nerve centre, the identification of strategic directions/ targets for assaults, the art of organizing and carrying out assaults in cities, the art of flexibly employing and combining forces, the combination of military offensives and the revolutionary masses’ uprisings, the combination of fighting the enemy in inner cities and on the outskirts. All of these enabled the 1968 General Offensive and Uprising to end in enormous success, having a seismic impact on the Pentagon and the US and marking a turning point in our anti-American resistance war for national salvation. In terms of military art, that resounding victory was manifested in the following. 1. The art of identifying main directions and targets for assaults much to the enemy’s surprise. Since mid 1967, while suffering huge losses on battlefields and being locked in passivity, the hostile war machine had remained powerful, manned by over 1 million American troops and puppets. If military offensives had been carried out in heavily forested, mountainous areas as before, loads of hostile troops and materiel could still have been annihilated. However, doing so would not create enough considerable pressure for the morale of American troops to hit rock bottom, thereby constituting a turning point in our resistance war. Meanwhile, military offensives en masse in urban areas – the enemy’s political, military hub, would take the foes by surprise, turn their strategic disposition upside down, resonate around the world and enormously influence the American politics and public. On the basis of correctly assessing the situation, the Politburo and Central Military Commission identified cities and towns across South Vietnam, the focal point of which were Saigon – Gia Dinh, Danang, Hue as the main directions of the 1968 General and Uprising; the enemy’s nerve centre at central and local levels, which were home to hostile high-ranking figures as the main targets, especially the Independence Palace, the General Staff of the Republic of Vietnam military forces, the Republic of Vietnam National Police, the US Embassy, Radio Broadcaster “Voice of Saigon”. This decision was prudent and daring in the sense that our assaults were on the hostile targets which were of strategic importance but smacked of certain weaknesses, shaking the entire Southern battlefield. Although the hostile targets were heavily guarded, we managed to secretly gather tens of thousands of tonnes of materiel and deploy squads of special forces in the proximity of those targets thanks to the posture of people’s war and the art of organizing assaults. As a result, the outbreak of the 1968 General Offensive and Uprising caught the South Vietnamese and American forces off guard. Our seizure of the US Embassy for 6 hours compelled the American political circle to admit that Viet Cong did attack the US with “pharynx, lifeblood, heart and brain” as the overarching aim. 2. The art of creating and seizing opportunities to deal a decisive blow. According to reliable sources from the US political circle and the Pentagon, while rallying both the strategic reserve earmarked for the “local warfare” strategy and part of the strategic reserve for the “Flexible Response” Grand Strategy in preparation for the former strategy, the US did not clinch any victory yet and even suffered successive defeats. The enemy incurred hug losses in humans and advanced materiel, being caught in passivity and dilemma when their two strategic offensives in 1965-1966 and 1966-1967 were a rout. Meanwhile, our armed forces were becoming far stronger, as evidenced by their successes in major offensives and seizure of strategic regions. The political forces in South Vietnam were now fully-fledged, full of revolutionary spirit and ready to rise up to break fetters for national independence and freedom. The confluence of those favourable conditions enabled our revolution in the South to shift to a new stage. Therefore, the decision to launch the 1968 Offensive and Uprising was sensible. We firmly grabbed the favourable opportunities to destroy the US morale, creating a turning point in our resistance war. The art of creating and seizing opportunities for the 1968 General Offensive and Uprising was also manifested in our timing, namely the eve of the Lunar New Year when the enemy was lacking in watchfulness. It is a fact of life that at the time of our assaults on Saigon and other cities, the majority of the American soldiers was stationed on the periphery while the hostile military police in inner cities, half of whom had been on leave, were not vigilant enough. As a result, our attacks astounded the then -US leadership in Washington D.C.
Obviously, the art of creating and seizing opportunities for the 1968 General Offensive and Uprising was unique, flexible and creative, enabling us to outmatch the enemy from the very beginning to achieve the strategically crucial victory. 3. Close combination of military offensives and the masses’ uprisings, thereby achieving synergy to defeat the enemy. In order to take the enemy by surprise, military offensives were carried out by our armed forces from the outside of cities in combination with special forces and commandos who had infiltrated into inner cities in order to seize prime targets and to cause the authority of the enemy’s governments to rapidly disintegrate, serving as a boon to the masses’ uprisings for seizure of power. We managed to muster tremendous strength thanks to the close combination of military offensives and the masses’ uprisings, which compelled the enemy to disperse their power on various fronts. This combination resulted from the successful application of synergy between “strength, advantages, opportunities and stratagems”. It is a fact of life that it would have been hard for the masses to launch uprisings without might of the three-category armed forces while the former served as a stepping stone for the latter to mount military offensives in and around cities. Our military offensives in simultaneous combination with the masses’ uprisings rapidly led the enemy to failure. The 1968 General Offensive and Uprising has gone down in the Vietnamese history as an immortal epic and shining milestone in our anti-American resistance war for national salvation. It has enriched the Vietnamese military art of Ho Chi Minh era, teaching us valuable lessons necessitating extensive research towards creative application to our current cause of homeland defense. First, promoting the aggregate strength of the entire political system and people under the leadership of the Party in consolidating national defense and security, especially all-people national defense, the posture of all-people national defense associated with that of people’s security. The build-up of military capability must run parallel to the building of the people’s armed forces with priority assigned to making the People’s Army and the People’s Public Security Forces revolutionary, regular, elite and gradually modernized as the nucleus of homeland defense. 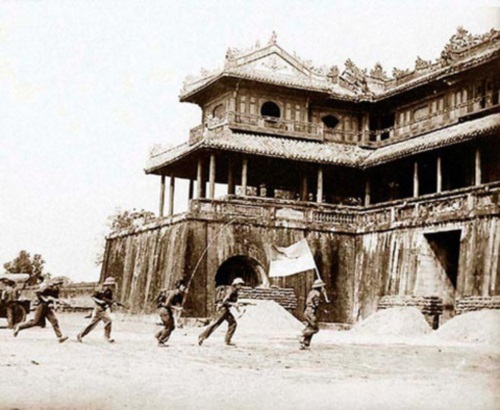 Second, creatively applying lessons drawn from the history of military art of people’s war to the development of today’s Vietnamese military science. The Party’s military-defense guidelines must be thoroughly grasped while traditional Vietnamese military art must be closely combined with modern one towards firmly protecting the socialist Vietnamese homeland in the new situation. Third, a people’s war for homeland protection (if possible) will dramatically differ from a war of liberation. Therefore, it is necessary that the Party’s novel thinking on homeland defense be thoroughly grasped to effectively deal with military-defense issues arising from realities. The consolidation of national defense must aim to prevent and eliminate threats of war to maintain peace and stability towards the country’s development. Importance must be attached to building “the posture of people’s hearts and minds”, combating “peaceful evolution”, riots and subversion by hostile forces, and heightening revolutionary vigilance for the country not to be reduced to passivity in any circumstances.